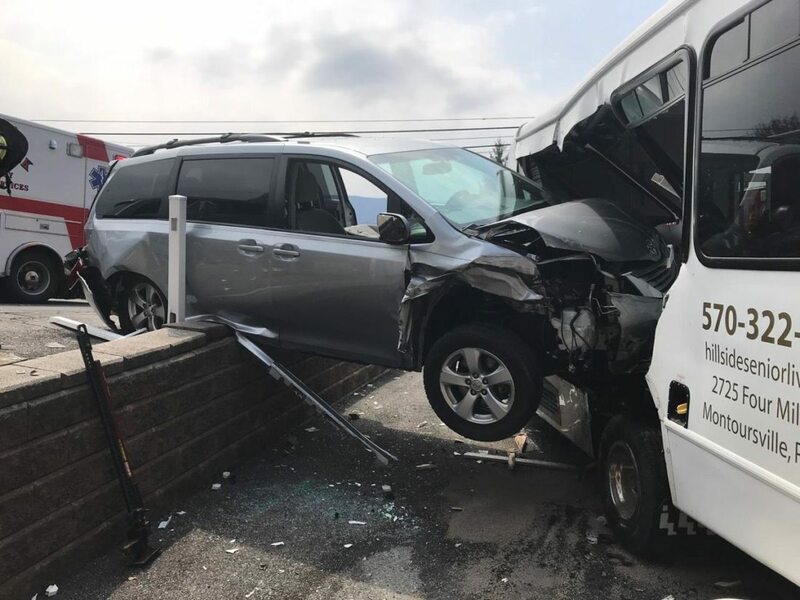 No one was seriously injured in this crash that occurred Wednesday afternoon and involved a total of four vehicles, including a Ford van and a Dodge Durango that were parked in the lot of the Hillside Senior Living Community at 2725 Four Mile Drive. 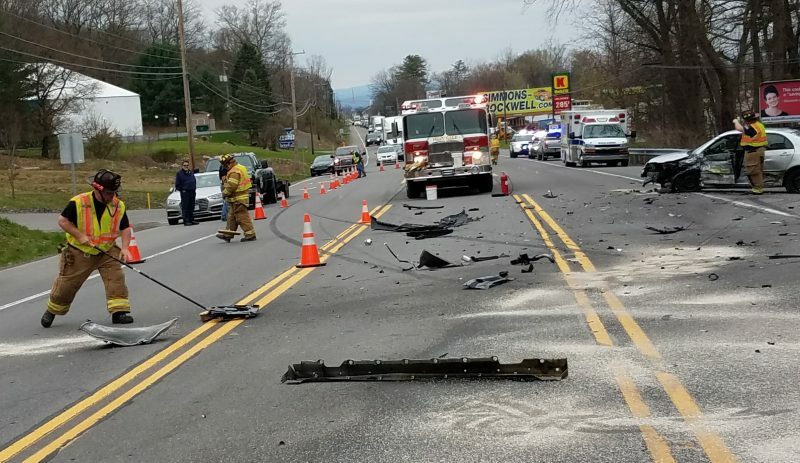 State police said a stopped Toyota Sierra on Four Mile Drive, driven by Rita Agbemabiese, 54, of Williamsport, was struck in the rear by a Nissan Murano driven by Nancy Sargent, 76, also of Williamsport, police said. Following the collision, Agbemabiese’s vehicle accelerated across Hillside’s parking lot, hitting first the back of the Durango and then crashing into the facility’s van, police said. While Sargent declined treatment, Agbemabiese was treated at the UPMC Susquehanna Williamsport Regional Medical Center.